My wife is in a weekend long training session for work so I took the opportunity to do what I love best - get dirty on a locomotive. Today, I decided to tackle the compressor after fooling with some mystery wires in the short hood. 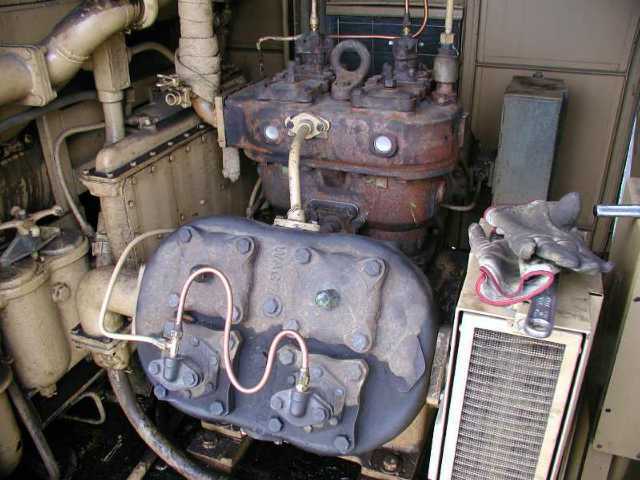 The 4423 has a 6 cylinder Westinghouse compressor which makes a bunch of air very quickly. It has 4 low pressure cylinders which feed 2 high pressure cylinders through an intercooler radiator. When we first fired up the engine, it was obvious that there was something amiss with the compressor as it made very loud blowing noises when unloaded (not pumping). 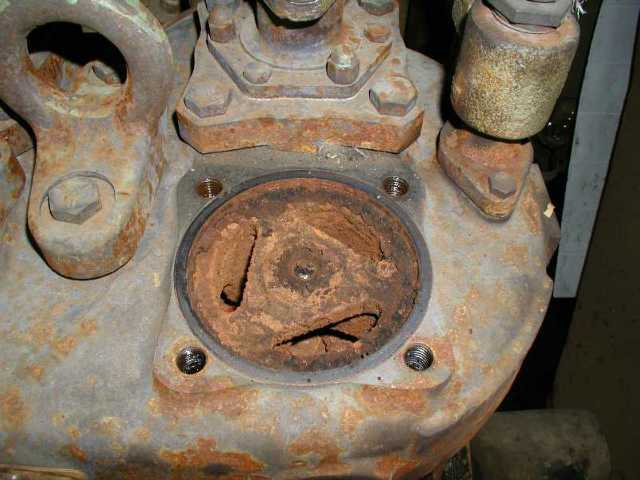 This is due to the intercooler radiator being over pressured and having its safety valve unseat. 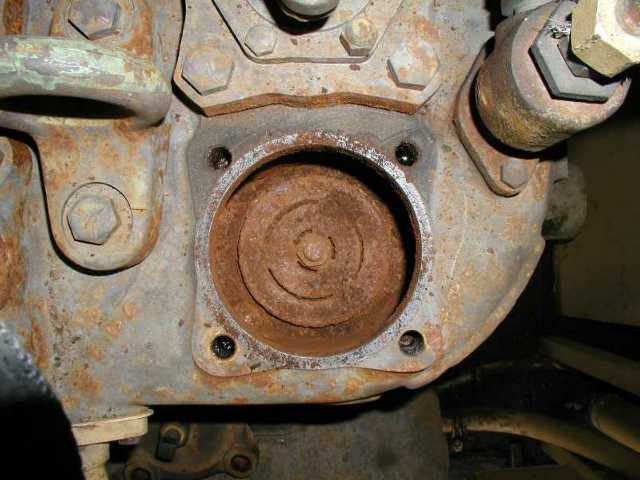 The cause of this racket is usually the high pressure cylinder exhaust valves leaking, allowing main reservoir pressure to sneak back into the intercooler. 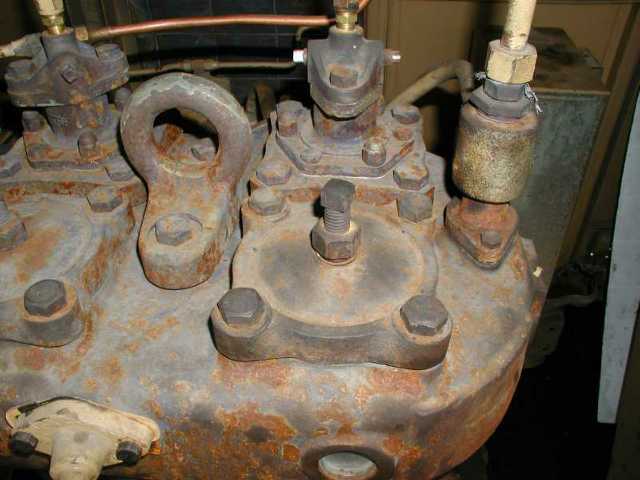 Upon removal of the valve chamber caps, the problem became obvious. 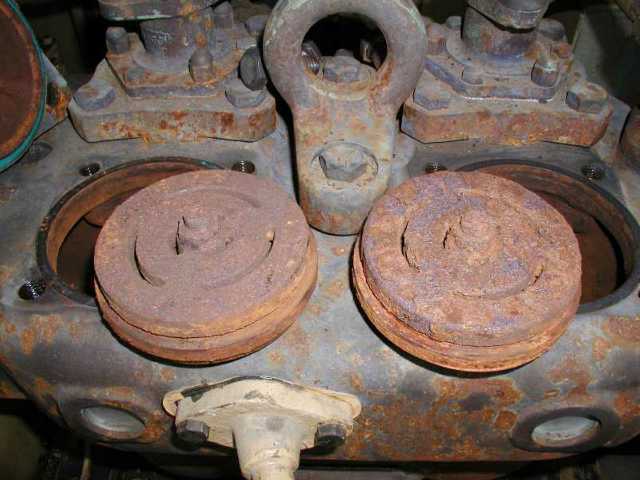 I have seen some dirty, carbon encrusted valves before but these are the worst. I doubt that they are salvageable as they are terribly rusty and I will start looking around next week for replacements.